As more and more well-developed overseas property markets reach saturation point, British property investors are starting to look further and further afield in the search for likely investment opportunities. South America, despite some political and social issues still to deal with, offers those opportunities. South America, like many other emerging markets sees the benefits of foreign investment and the governments are taking steps towards creating a more hospitable investment environment. Chile has a dynamic market-oriented economy characterized by a high level of foreign trade. During the early 1990s, Chile’s reputation as a role model for economic reform was strengthened when the democratic government of Patricio Aylwin – which took over from the military in 1990 – deepened the economic reform initiated by the military government. Growth in real GDP averaged 8% during the period 1991-1997, but fell to half that level in 1998 because of tight monetary policies implemented to keep the current account deficit in check and because of lower export earnings – the latter a product of the global financial crisis. Chile’s economy has since recovered and has seen growth rates of 5-7% over the past several years. In 2006, Chile became the country with the highest nominal GDP per capita in Latin America. 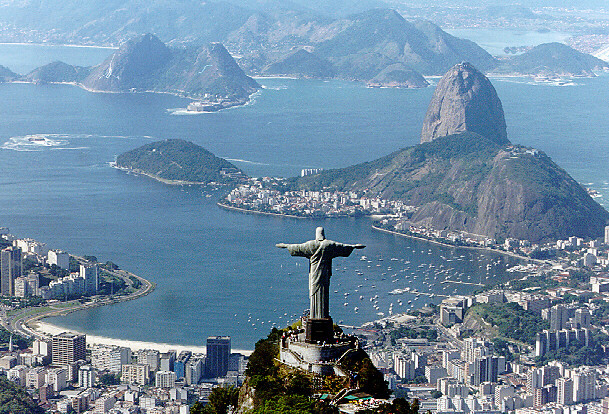 Brazil offers a wide variety of investment opportunities; from cities such as the modern, urban Sao Paulo and the beach resort city of Rio de Janeiro to vast areas of farmland and timberland, there are opportunities for large and small investors alike. Although Brazil is still struggling with social problems such as income inequality and poverty, the country’s outlook remains positive, as indicated by the country’s impressive economic strides during the past few years. The growing success of its economy is reflected in the government’s efforts to attract foreign investment, particularly in the development of the Northeast coastal areas. According to Paradise Uruguay, “Uruguay’s real estate provides one of today’s best second home, retirement, and investment diversification opportunities”. Uruguay has beautiful beaches, a nice climate, and lots of recreational opportunities. When it’s winter in North America, it is summer in Uruguay with daytime temperatures between 70 and 80 degrees. In addition to great weather, Uruguay has a favorable social climate with the most highly educated population, the least economic disparity, the lowest crime rate, and the second lowest level of corruption in Latin America. The people of Uruguay are generally friendly and tolerant with a strongly European culture. Uruguay also has good medical care, safe drinking water, good public transportation, free education for its citizens, broad cell phone coverage, and widespread availability of high speed internet. And while Uruguay has first world public services and infrastructure, it is also an affordable place to live. In a cost-of-living analysis of 144 major cities from most expensive to least expensive, Montevideo (Uruguay’s capital) is ranked 138th. Uruguay offers a broad selection of areas, communities, property types, and price ranges, from the most rural setting to the continent’s most fashionable resort. What sets Uruguay apart from many other offshore locations is that foreigners can buy and sell real estate in Uruguay with the same rights and protections as residents. Investments in Peru present low risk (except from earthquakes) and chances of good return. A severe housing shortage and short construction cycles ensure strong prices, easy sales and quick returns. Peruvian banks provide 70 to 75 percent of the financing and close scrutiny of the builders. The Peruvian economy is growing at an estimated rate of 8 percent. Peru’s tourism industry is also growing thanks to attractions such as Machu Picchu. Every year about 60,000 U.S. citizens visit Nicaragua, primarily business people, tourists, and those visiting relatives. The majority of tourists that visit Nicaragua are from the U.S., Central or South America, and Europe. According to the Ministry of Tourism of Nicaragua (INTUR), the colonial city of Granada is the preferred spot for tourists and this is where many overseas property investing opportunities are to be found.